Hi! 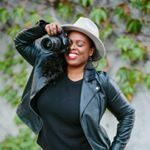 I'm Samantha - a lawyer turned international photographer. I currently call South Carolina and Ontario home (with additional roots in Georgia) and travelling wherever your story takes me! Since 2009, I have captured over 100 weddings all over Canada, the US, and the Caribbean. I grew my business while I was in law school and even while practicing law - I just couldn't put my camera down. I left my practice to follow my heart and now I go where my camera takes me. My family means the world to me & I'm so much happier when they are around. My husband Andre, of 5 years, is my best friend and makes me really appreciate romance and true love. ​I'm guilty of singing songs out loud, even when I don't know all the words... Coffee is my favourite hot drink and I go to YouTube for practically everything!!! ​My role as your photographer is to help you tell your story. I'd love to chat with you. So please get in touch!